Vakantiepark Bonte Vlucht in Doorn - the best offers! Take a holiday near Utrecht, in the cosy village of Doorn. Situated in the middle of the woods, the park offers a nature-based respite of peace and quiet for the whole family. This price applies to Baby Special, with the arrival as 27 May 2019, 4 Nights. 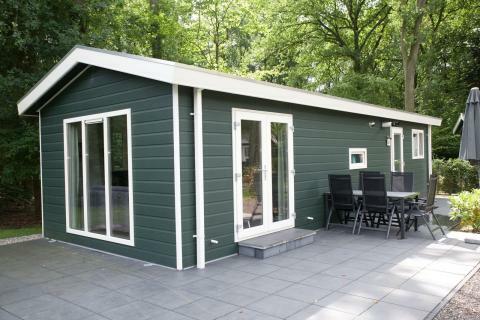 This price applies to 5-person mobile home/caravan Green Garden, with the arrival as 10 May 2019, 3 Nights. This price applies to 2-person apartment, with the arrival as 27 May 2019, 4 Nights. This price applies to 4-person apartment 4 persoons appartement, with the arrival as 27 May 2019, 4 Nights. In Doorn, a cosy village near Utrecht, you will find the Bonte Vlucht family park. This holiday park offers you tranquillity whilst still being centrally located, meaning you can visit many beautiful places from here. You can camp or rent your own chalet or holiday apartment in the beautiful forest-covered park. During the summer you can enjoy a heated outdoor pool (open between May and September) next to a large sunbathing area with sunbeds. For sports enthusiasts, there is an all-weather tennis court, boules, and a sports field. In the on-site pub, you can play a selection of classic pub games such as billiards or darts. There are also family shows and organised activities for both young and old in the evenings. If you'd like to explore the surroundings then it's also possible to rent bicycles. There's always something to do for children, so they will never find themselves to be bored. The park offers an animation programme during the Dutch holiday periods with many activities and themes, such as children's theatre, lantern tours or scouting trips – activities are usually announced in advance from the reception. Next to the main pool there is a children's pool with slides for the little ones, and there is also a playground with a sprinkler system for some real water fun. 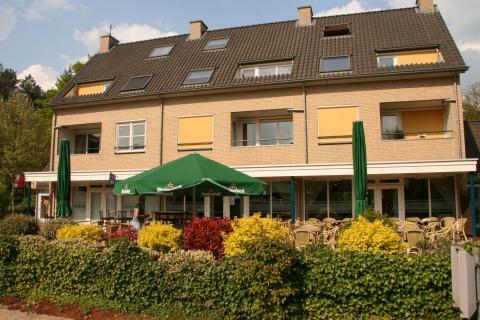 In Holidaypark Bonte Vlucht there is a restaurant with a bar and terrace, where you can have both lunch and dinner. During the day there is also a large snack bar that offers a nice selection of snacks. The terrace of the restaurant is directly at the pool so everything you need can be found close by. Please note: the restaurant is closed during the winter season. The holiday park is surrounded by woods, therefore hiking and cycling tours in the surroundings are recommended. Ask at the reception which hiking or cycling routes would be for you. The National Park Utrechtse Heuvelrug (10km) offers a variety of landscapes, from heath landscapes to sand dunes and meadows. Hobby photographers will also find their money's worth here, as you can observe many animals, including over 100 bird species. For the children, a visit to the zoo in Amersfoort (21km) is certainly a great experience. You can also visit the military museum in Soesterberg (19km). A day trip to the city of Utrecht (30km) is also an option. A mandatory deposit of 150 euro is required per accommodation. The outdoor swimming pool is only open during the high season.